In today's markets, being an agile player is increasingly important. Why is one organisation more successful than another ? Often, the difference lies in the strategy and how this is implemented in business models. With a structured approach for business model management, you can learn from the most successful organisations and select useful elements for your own business. During this one-day semiworkshop, you will learn how to roll your own new business model. We call it a semiworkshop because it is the perfect combination between a seminar that explains you the theory, and a workshop that helps you turn this theory into practice. This semiworkshop is based on the Business Model Canvas as described in the book "Business Model Generation" of Alexander Osterwalder and Yves Pigneur, which you get free with your participation. This book gives a clear definition of a business model: "a business model describes the rationale of how an organisation creates, delivers and captures value". The Business Model Canvas is a thinking tool that helps to describe, analyse and communicate business models in a very structured way. This de-facto standard for business modelling is used by leading organisations across the globe. Rapid change in your market, new technology, but also major cost cuts require more than changing processes and systems. A new way of doing business, a new way of looking at the market and new revenue streams have to be discovered and explored. Inspire and be inspired, learn from examples and re-use out-of-the-box ideas from other verticals ! Techniques such as Blue Ocean, Balanced Score Card, SWOT-analysis and Porter's Diamond, help to plan and analyse your strategy. On the other side of the spectrum organisations use design and implementation methods and techniques for Enterprise Architecture (e.g. TOGAF, ArchiMate), Business Process Management (e.g. BPMN, Business Process Engineering) and Project- or Portfolio Management (e.g. MSP, Prince2). Business Model Management bridges the gap between strategy and implementation by designing multiple alternative business models, testing the models against scenarios, and setting the structured roadmap for implementation. Validation of the models with relevant stakeholders is key for every phase in the business model process. The approach for Business Model Management connects strategic techniques, via business model techniques, to implementation techniques. Both profit or non-profit organisations can benefit from the business model approach. It helps to focus on your strengths and address your weaknesses. Where do you really add value for your customers ? Having a strong and innovative business model gives your organisation a competitive edge and a more solid base for the future. This workshop shows you how to describe a business model, to discover and involve the appropriate stakeholders, to use innovation techniques and patterns, and to communicate new ideas. In the workshop, we address the relationship with implementation and illustrate everything with lively examples. Your good Business Model is a precious thing that needs appropriate maintenance, so Business Model Management throughout the lifecycle is an essential element! 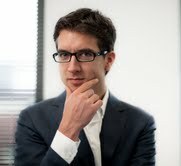 Our speaker Remco Blom and his company BiZZdesign have a long track record in building strong organizations. With business models, enterprise architecture and business process management. This workshop is organised in cooperation with . This workshop is particularly useful for anyone who is involved in bridging the gap between strategy and implementation. This includes, but is not restricted to entrepreneurs, business development managers, innovation managers, business managers, business analysts, project leaders or managers, requirements engineers, consultants or similar. Where can you find more information about Business Model Generation, Business Model Management and ArchiMate ?